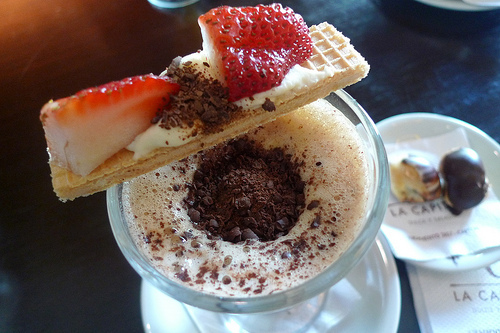 And that Dulce de Leche... ohhhh… sweet mother of all things indulgent. Argentina has the best dairies due to it’s land and free range cows, therefore, it also in my opinion, produces the best Dulce de Leche. My favorite is from La Serenisima. 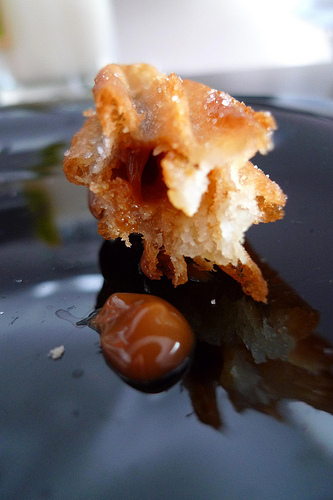 Ok so back to the Churro relleno con Dulce de Leche. This is wild. The sweet milky caramel, and the crunch and chew is a perfect marriage of textures. 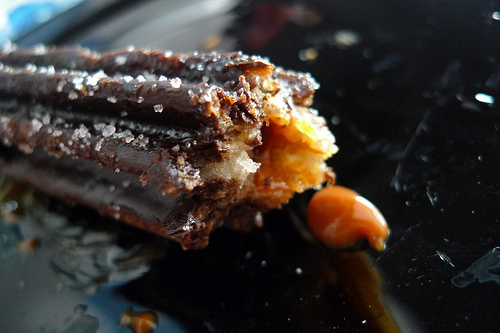 Just to up the ante, I also had the Churro with dulce de leche and dipped in chocolate. So all of the above mentioned heavenly goodness now, covered with semi sweet dark chocolate. Wow. I had one of each in one sitting. It was a lot, but I had a sugar high like no other, churros ecstasy all week… and every morning like an addict, I wanted mas! 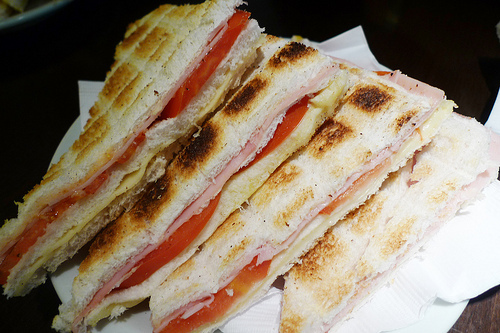 Everything sweet needs something salty as company, in my case, Sandwiches De Miga. 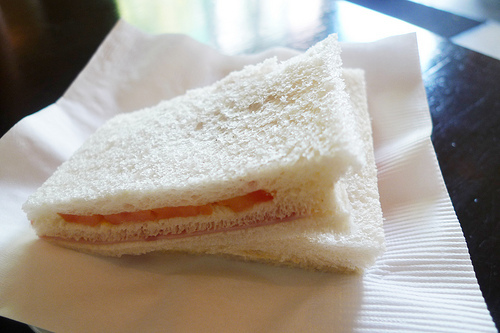 Simple white bread sandwiches with no crust. Made fresh daily. I grew up with ham and tomato, cheese or eggs, but now they have new concoctions, like this ham and heart of palm. 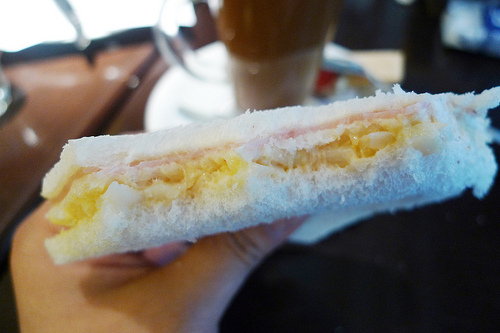 Fluffy bread, light mayo, and fresh crunchy hearts of palm with a salty ham. Me gusta! And you can always get yours “tostada”, for that extra warm, melted cheese, toasted bread. To wash it all down, I had their Cappuccino a la Capital every time. Which comes with chocolate covered profiteroles on the side and a beautiful presentation, and yes, I ate that too.Deep and smooth expresso, with dark chocolate. Warm, milky, melt in your mouth chocolate pieces. This is how mornings should always be. La Capital is more of an neighborhood joint. 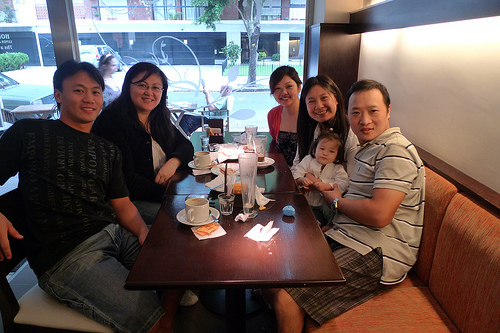 There’s plenty of cafes and bakeries in Buenos Aires, this was close to where I was staying and because its fairly new, it had a nice space to sit in with free wi-fi. There aren’t many old school Confiterias like the ones I grew up with, instead these modern spaces have slowly taken over. Everything here was great, so I found no need to eat elsewhere during my short stay. The churros look amazing! I would have died and gone to heaven! NO! Please don't tell me I have to go all the way to Buenos Aires for those churros! 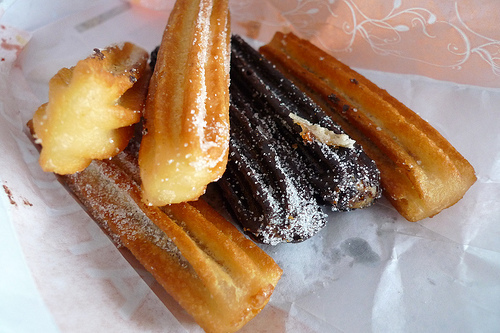 I've loved churros ever since I lived in Spain in the 1980's. And I've NEVER seen filled ones or chocolate ones. Do they do mail order? yeah these were sooo good! yeap… u'll have to make it to buenos aires… although there's a place in Staten Island I've been wanting to try…. will report back!